Needless to say, I was away from home on a Sunday. We decided to go to a friend’s church we had attended before. 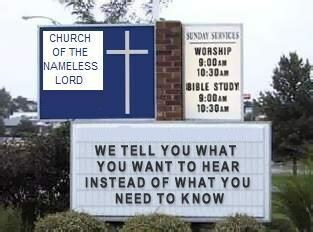 I won’t name the church and details have been altered to stave off embarrassment. But I bet you can guess the denomination. The first thing I noticed how the congregation had dwindled. Where once there were a hundred seats, now the chairs had disappeared from the back. I walked across a sea of green carpet to get to our row. The atmosphere was a mixture of comfort and “we mean well.” laced with the heady scent of “we’re trying to be relevant.” The music was a muted blend of choruses backed by a semi-conscious bass player and high-hat that was way to loud. The text for the sermon was Mathew 14:13-21. The feeding of the 5,000. The children’s sermon was endearing. The children passed around to all of us a little paper cup-cake liner with two goldfish crackers and five oyster crackers. 5 loaves and two fishes. Cute right? When the little ones trotted off to cut and paste class. I settled in for some exegesis of God’s word. I did not get it. I was prepared to endure a sermon about God doing miracles in my life. I was prepared to ignore that impoverished definition of a miracle. I was prepared for a whole lot of application and very little observation and interpretation. After going to seminary, no sermon will be as good as New Testament class with professor so and so. I was not prepared for a sermon that completely reversed the meaning of the text. The minister looked familiar. She had been promoted from pianist to fill the spot left by the last minister. Her sermon attributed the miracle of Jesus manifesting food out of nothing just as God had done in the wilderness, to the generosity of people who saw the little boy’s sacrifice and decided to share with others the food they had brought. This easy-to-digest interpretation reflects the unfortunate modern desire to explain away the inexplicable. Some scholars refer to that particular explanation, which began circulating in the 19th century, as the “nice thought” interpretation, which has found its way into mainstream Christian spirituality and preaching. But this is one way not to interpret the passage. The “nice thought” interpretation reflects a tendency to downplay miracles in the midst of a story that is filled with the miraculous. 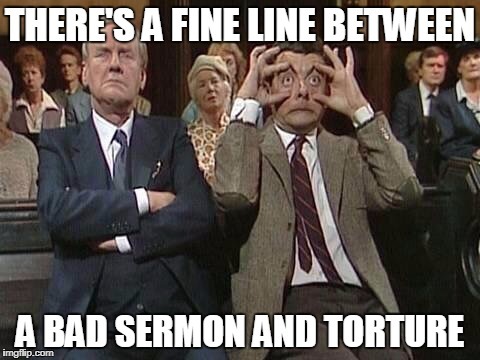 So the worst sermon idea ever started somewhere in the 19th century–If anyone can pinpoint the origin of this stupidity and heresy please do so in the comments–and like an urban legend has made it’s way into the commentaries and pulpits across the land. It is the “Man with the hook for a hand” of modern theology. It is possible that the disciples begin handing out the bread and fish out of a pot somewhat like Harry potter’s trunk – the one where you just keep pulling stuff out of it. But I think the more likely scenario, and the one that actually offers more practical challenge to us is this. The miracle here isn’t that there is a magic trunk full of bread, instead, I believe that the miracle was in the act of sharing abundantly in the face of scarcity. Jesus’ disciples are encouraged to share in the face of the illusion of not having enough, because Jesus knows that true abundance is rooted within the cooperation of an entire community of people. What is at the heart of every pet interpretation is pride. I will use God’s word for what I surely know is the best use of it. And sloth. Surely people will be bored hearing again and again how the New Testament depicts Jesus doing the things God did in the Old Testament with the obvious lesson that “Jesus is God.” That’s boring. No instead they will want to hear all these new applications of the text. Except that they don’t. The churches that sold their souls to bring in the crowds aren’t bringing in the crowds. If church is just another place to practice my economic and political theory then why get dressed on a Sunday? Years ago John Shelby Spong told protestant churches that they must change or die in his book Christianity must Change or Die? Spong told mainline protestants to give up their literal interpretation of the Bible and embrace what exactly? Well social causes mostly. And how has that worked? Not so well. Mainstream Protestant churches like Methodists, PCUSA etc are losing members faster than cable TV is losing subscribers. After statistically analyzing the survey responses of over 2,200 congregants and the clergy members who serve them, we came to a counterintuitive discovery: Conservative Protestant theology, with its more literal view of the Bible, is a significant predictor of church growth while liberal theology leads to decline. Of course once you’ve had your ears tickled, it’s hard to hear anything else. If the mainstream churches were to figure this out and change course, that would be a miracle. Years ago our pastor was ill or away and we had a guest preacher who spoke on the miracle of sharing in this text. This misinterpretation extols the goodness of man while denigrating the supernatural nature of God. Sermons like this turn the good news into sad fake news! Well said, Rachel. Both points are good, the first goes to the heart of the “modern, liberal church”. Wonderful to read one of your thoughtful posts again, Don. You are “right on”, as we used to say. I once told the church-is-a-business-minded pastor at Meadowland, with his neighborhood demographic studies, his flyers in mailboxes, and his incessant demands that we invite people to church: “Pastor, I believe we can trust every word Jesus said, and when he said, “If I be lifted up, I will draw all men unto me,” he meant it. All you need to do is to lift up Jesus: in your sermons, in everything you do. This place will not hold all the people who will be drawn in by him.” It fell on deaf ears. 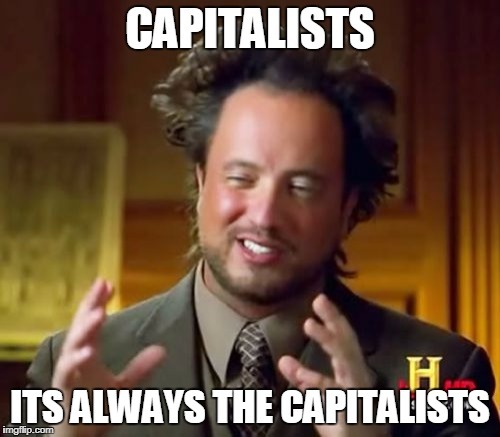 Oh, and we got anti-free-market-capitalism sermons at least once that I remember. One of my favorite commentators. J. Sorry, Jonathan, I know Don and assumed he wrote the article. I enjoyed it and agree with it. The church reference I made won’t be so clear to you, but Don knows of whom I speak. See how they had a woman as a pastor I would have quickly went to Timothy and Titus where Paul taught the qualifications of a pastor etc.